Can P2P Lending Kill NBFCs? 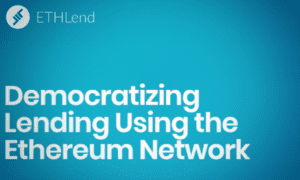 P2P lending standing for Peer-to-peer lending is a debt system that allows parties to borrow or lend money without involving any official financial institution. NBFCs, on the other hand, are the Non-Banking Financial Companies. With the entry of many alternative lending platforms, traditional lending platforms have been exposed to a threat of losing its traditional customers as these new platforms offer easy and possibly cheap ways of conducting business between customers. 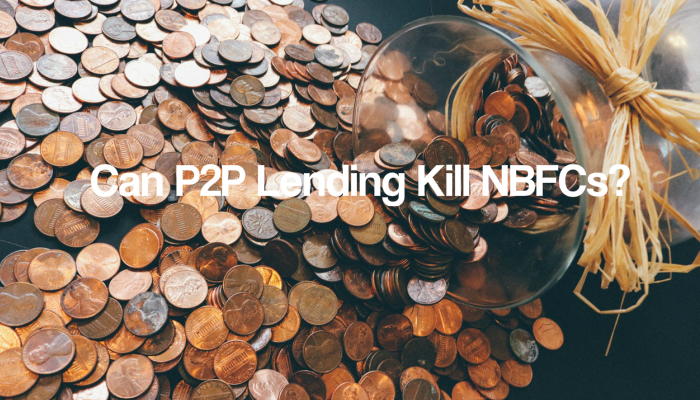 Does P2P lending offer such a serious threat to NBFCs and can P2P lending kill NBFCs? We write an informative review to let you know! Why Do Borrowers Prefer P2P Platforms? Easy to Apply– The P2P offers an easy application process that can be accessed from anywhere and by anyone. This attracts borrowers. It Is Fast– P2P platforms takes very little time to approve loans to borrowers, unlike the traditional money lending platforms that take a lot of time analysing borrowers before approving loans for them. Why Do Investors Prefer P2P Platforms? 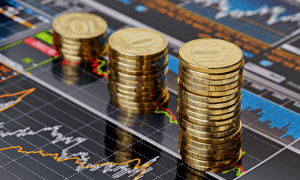 Reasonable Returns– The amount of yields that an investor gets depends on his investment capacity or the amount of risk he is willing to take. Diversification- P2P platforms offers investors a chance to diversify their earnings by investing in a wide range of borrowers from different risk categories. Regardless of the fact that both P2P and NBFCs play an important role in the financial market, the two platforms are different from each other. We have seen surge of NBFC Registration in India in past few years. While NBFCs mostly deal with the unbanked population, P2P concentrate on the businesses that are usually locked out by traditional lenders and also on the tech-savvy individuals. While P2P platforms have embraced the use of modern technology, NBFCs have failed in the use of technology. This has really affected their growth as they cannot really compete efficiently in the modern world. NBFCs have an advantage over P2P sites when it comes to getting customers since they depend on the word of mouth- most powerful marketing tool. Usually, NBFCs rely on the traditional financial institutions eg banks or raise money by the use of bond market forms. P2P, on the other hand, relies on individual investors to raise funds. P2P find it hard to educate the population about this new platform and helping them understand how it works. It is not regulated and this does not go well with some of the investors who consider it with suspicion. Trying to get borrowers and lenders proofs a very hard thing to do due to the suspicion that most people treat it with. From the above comparisons between NBFCs and P2P, it is clear that both institutions cannot be said to be perfect. Both of them have shortcomings but still, each of them has unique features that the other does not have. Regardless of the fact that P2P platforms attract a large number of people from the techno-dextrous mass, NBFCs should not consider them as a threat. Technology is a vital tool in this era and age and for NBFCs to maintain their stand as the traditional financial institutions, they have to embrace change and technology. The answer is no. NBFCs need not regard P2P as competitors rather, they should consider P2P as partners and partner with them to come up with strong business platforms which use technology to come up with customer oriented products that meet their individual requirements.